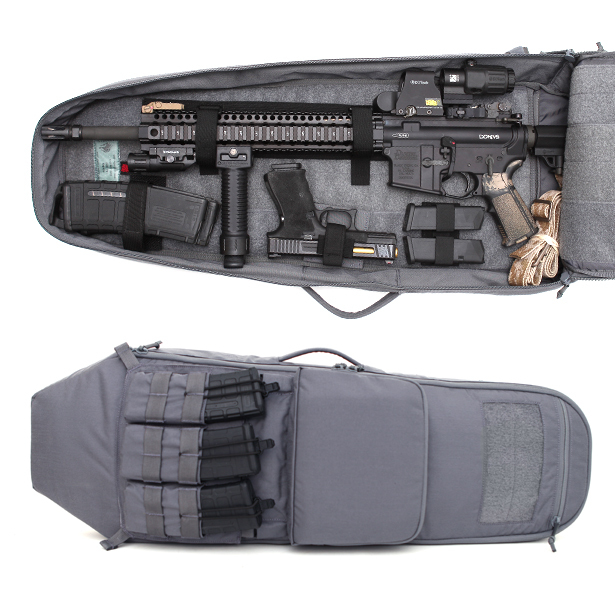 LBX (London Bridge Tactical) and Chris Costa have released a new signature series of integrated rifle bag and plate carrier: the MAP(Mission Adaptive Panel) System. The MAP system was designed to allow the operator to minimize the amount of gear needed on the range. This system can also be run both low profile and high profile, for either covert or overt applications. 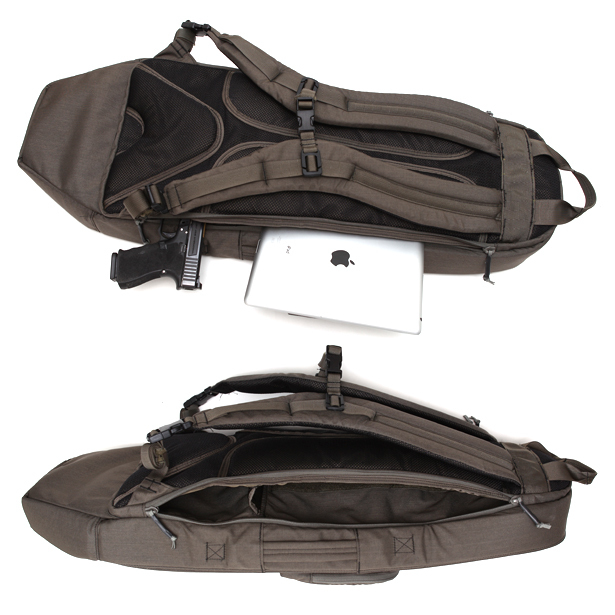 The rifle bag is versatile and low profile, it doesn’t draw a lot of attention to it. The bag has also a different kind of shape than other rifle bags on the market. It can hold a rifle up to 16″ with a collapsible stock. The bag is made out of 500D cordura, with reinforced padded shoulders straps and breathable backing. It also comes with top and side carrying handle. The operator can either attach the mags and gear outside the bag ( for a more direct action fashion) or zip everything inside. There is a variety of pouches and kits (radio puches, med kits, mag holders, tools..) that can be put on this bag. Even the velcro inside works perfectly with all the other LBX pouches. The Plate Carrier holds medium or large ESAPI plate. The low profile design allows the operator to use the carrier even in covert applications; while the fast-clip front panel allows to go from low profile to high profile in just seconds. 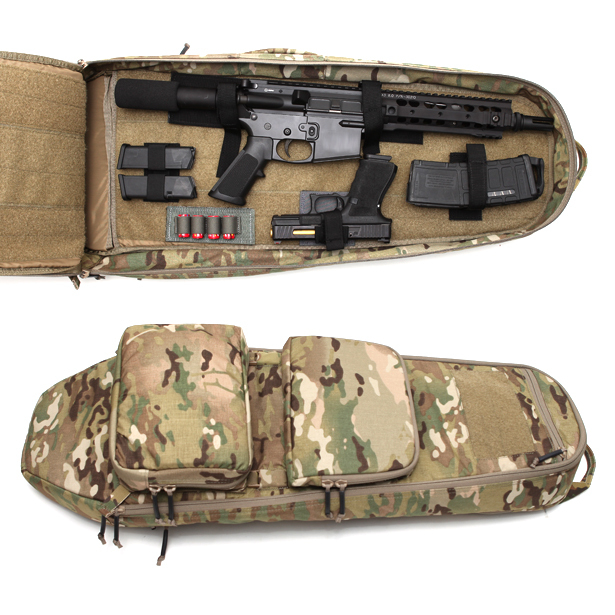 It comes with a removable elastic cummerbund and a reinforce drag handle for tactical applications. LBX worked with HSGI and S&S Precision to design two pouches that could integrate both the TACO System and the Skeleton Retention System.